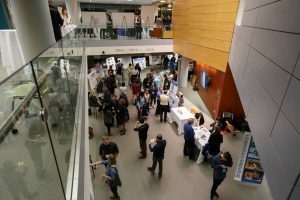 Discover the innovative ways the Brandeis community is changing the world at the Brandeis Innovation Showcase on Thursday, November 15. Held as part of Global Entrepreneurship Week, the Showcase will include presentations and a reception featuring startups, inventions, social entrepreneurship, and scientific discoveries born out of the labs and classrooms at Brandeis University. Participants can network with the researchers, students, faculty and staff who are impacting business, sciences, technology and social sectors. Some of Boston’s leading innovation organizations will have booths that provide more information about their work. Attendees will have the opportunity to join the entrepreneurial action and vote for a crowd favorite by “investing” in projects. They will experience the Brandeisian innovative spirit while networking with Boston’s innovation community. Get your tickets for the event here and make sure to use the hashtags #DeisInno18 and #BrandeisInnovates on social media so we can follow along.